A Russian court has fined a woman for rejecting doctors’ advice to allow her five-year-old son to have a blood transfusion. Her decision resulted in the boy’s death in hospital. The verdict is the first such precedent in the country. The Church of Jehovah’s Witness strictly forbids blood transfusion believing it to be sinful, and doctors cannot carry out the procedure without a patient’s consent. 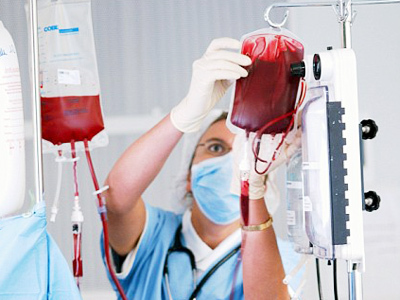 Many parents who are Jehovah’s Witnesses will also not let their children undergo blood transfusions. In some cases a court may override parental rejection, but that is not possible in emergencies. Such was the case of Natalya Podlozhevich and her son in Russia’s Khanty-Mansi region in the Urals. In February 2010, the boy was taken to hospital in critical condition and required a blood transfusion. Natalya did not give her permission even after doctors explained that her refusal would put the child’s life in danger. Without proper treatment, the boy died two days later. The prosecutor’s office opened a case against the mother for leaving a dependent person in danger. On Wednesday, a city court found her guilty and she was ordered to pay a fine. It is the first sentence in such a case and it will set precedent for future trials, a spokesperson for the prosecution said. A similar case involving the death of a child of a Jehovah’s Witness is currently being investigated in Moscow.